Ein Bustan:Arab-Jewish Education - Life Begins Now! Home >> Ein Bustan News >> Life Begins Now! 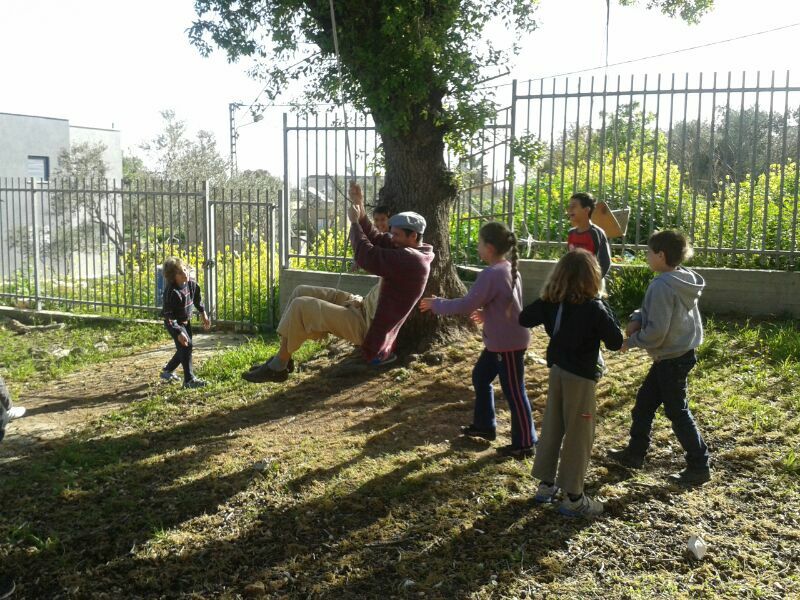 The Ein Bustan initiative, which promotes Hebrew-Arabic Waldorf Education, has undergone a year full of hardships, but has come out stronger. A year ago we reported that parents from the Ein Bustan initiative for bi-lingual Waldorf education were summoned to court because they had “not fulfilled their parental obligations” because they had sent their children to a joing Arab Jewish school which was not yet officially recognized by the Ministry of Education. I recently received an email from Amir Shlomian, and I called him and asked how things are going. Is the subject of the legal battles against the parents already behind you? “Yes, it’s behind us. What happened is that in January 2012 we received a promise from the Regional Director of the North from the Ministry of Education, that if we can show sufficient demand of parents to open a bi-lingual class, she would start the process with us. However, instead she gave a very late negative answer, which did not enable us to submit the appropriate documents needed for recognition to the Ministry of Education in time. In protest, in September 2012 17 of the Ein Bustan families submitted requests for Homeschooling. The education officers were enchanted by what they observed, but informed the families that they could not consider them homeschoolers, and that they were not interested in dealing with us. From there on the familes were considered to be “not fulfilling their parental duties” since they were not sending their children to an existing recognized school, and in two regions, with Tivon being one of them, legal suites were brought against the parents. The head of the Tivon Education Department was responsible for doing this, in the name of the Local Council, but without the knowledge of the Mayor, Mr. David Ariely. This angered the Mayor, and he postponed the court orders to the extent that he could. Concurrently, we started a serious campaign which gathered a lot of support, through facebook, emails and letters from 9 different countries, and several major news stories in the Haaretz newspaper. Amir himself felt this sense of fatigue on a personal level, and he says that in the past few months he has taken a step back from the project, in order to enable new and fresh forces the space they need to express themselves. “Currently in Tivon there are attempts to establish a new Waldorf school, in addition to the existing Shaked school. I started to hear people say that Ein Bustan is my own private whim, and only of interest to me, and if I leave, the initiative will not continue. I hoped this was not indeed the situation, and at a certain point decided to check if this was true, and I announced that I am taking a step backward. “ (Amir was previously both the Director, and teacher of the first class).”Today I am no longer the Lead Teacher, but I still teach the students music and occasionally tell them a story, accompany them in acrobalance class, walks, and holidays…at the same time, a new Director, Itaf Awad, joined the organization” In reaction to Amir’s action, the parents established a steering group called “Dairat El N’shat” - “Circle of Action”, and they are currently working towards the establishment of an additional new class.